The Tagish Wilderness Lodge is located on Tagish Lake in the Southeast of the Yukon. Only accessible by boat, floatplane, ski plane or dogsled, this is a true wilderness getaway in the middle of Yukon’s pristine nature. A beautiful setting, private and cozy log cabins and welcoming hosts make this a true wilderness experience. 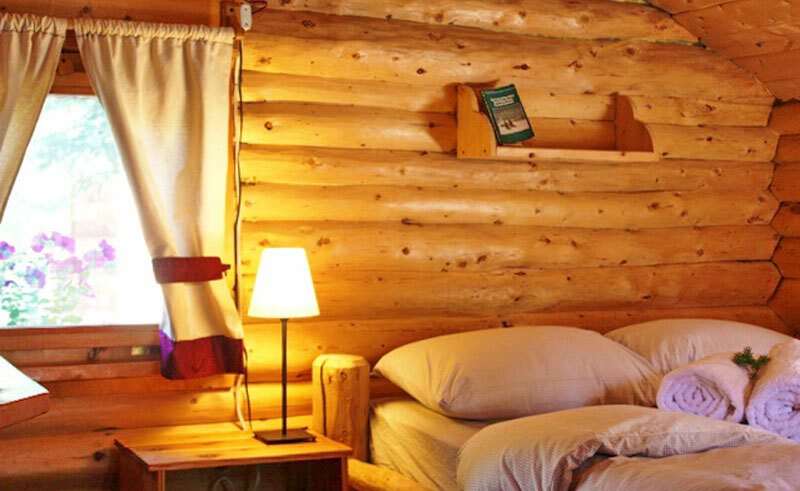 The authentic log-built cabins are nestled in vast spruce forests surrounded by pure nature. With only 4 cabins and a maximum of 8 guests you are guaranteed privacy for your summer escape or winter retreat. 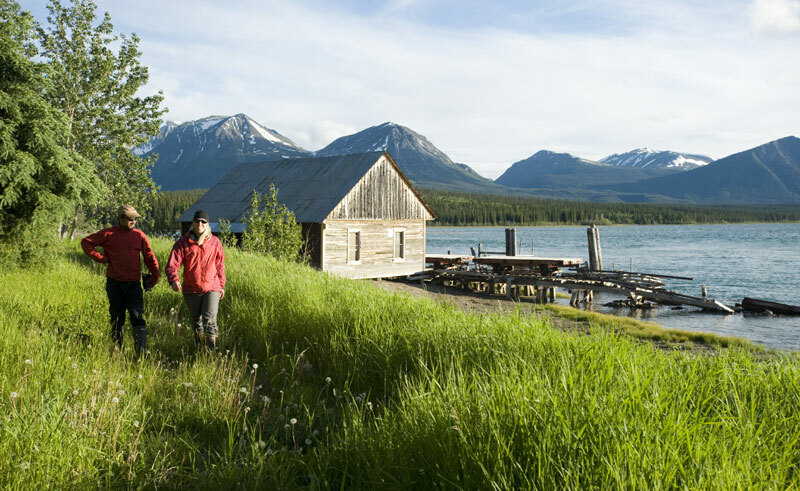 Tagish Wilderness Lodge is the ideal base for your nature activities and Yukon adventures. Take a panoramic hike, an interpretive nature walk or grab a canoe and paddle along the shores of Tagish Lake. Enjoy an exciting fishing trip in one of Yukon’s richest fishing grounds or let your dog team take you on an exhilarating trip on the frozen lake! Explore historic sites of the Gold rush time and observe local wildlife like moose, bears or caribou in their natural habitat. At the end of an adventurous day, savour a great home cooked dinner, sip a drink in the lounge or unwind and relax in our wood-heated herbal sauna.